have now been using this for just over the weekend and it’s pretty amazing bit of kit and will aid anyone’s fishing. I have purely been using it as a mapping tool and depth finder at the moment. The weather has not been helpful on this front. Way to much rain for me to stand out in. I’m not that crazy anymore! This image picked up a lovely slope, with a couple of nice edges where fish would patrol along. A perfect spot for a bait. This screenshot has picked out a couple of depressions in the lake. Another perfect spot and unless you were extremely lucky, you would never find them with a marker float set up. This final screenshot depicts a steady incline from 11ft up to 9.4ft, again is another likely area that fish would patrol along. I have been casting the Deeper out and once I found the perfect spot, I flicked the marker out and retrieved the Deeper. I then cast a lead to the spot and clipped up, as I clearly don’t want to hit the Deeper with a lead! This is also a good way to get accurate baiting up with the Catapult or spomb. Some of you will say it’s cheating but I say it’s embracing modern technology. 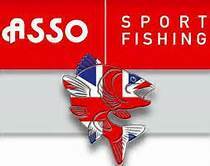 All people do in one shape or form e.g cars, phone, camera’s, t.v’s etc, so why not fishing tackle? If angler’s in the past not done this, we would still be using Heron buzzers and Argos chairs. With the modern-day pace of life, this gadget will save you time and put more fish on the bank, that’s got to be a plus on my book. As you can see from the middle part of the screenshot that the Deeper been pulled down into the water. Refresh & then Connect, in most instances this will have already happened. Night mode is a very useful tool for the angler who arrives at the lake after dark. Night mode solves this problem as you have the ability to change the black cap over to an orange one. If you then set your Deeper to the night mode function, you will get a flash of orange light. This is very visible at an amazing range. You can then follow your normal process of clipping up and adding enough to allow for your bait to land on the spot. The beauty of the light is that you can line this up with a horizon marker and you will be safe in the knowledge you are fishing the perfect spot, even in the dark. To set up night mode. 2- Scroll down until you find night fishing, which will be set to off.